If there is one place in the world where I would love to go, it would be Antarctica. The fascination has to do with heroic expeditions of the past, the enormous amounts of ice and isolation. 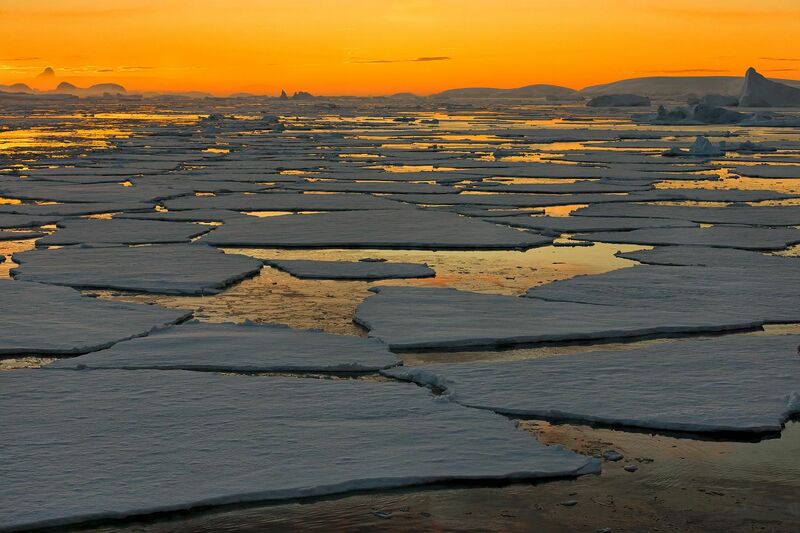 Nobody really lives in Antarctica and it is difficult to get to, which leaves it rather unspoiled. Since my interest in photography gained traction over the last couple of years, a visit to Antarctica ended up higher on my “bucket list”. When the opportunity presented it self to join an in-depth expedition to the white continent organized by Cheeseman’s, I could not resist and jumped on the opportunity to fill the last bunk on board the ship. And boy, did I not regret that! 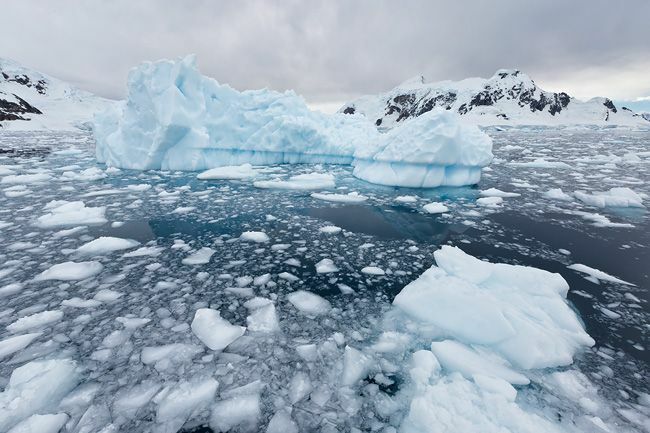 Here are some impressive facts: Antarctica is the coldest, driest, highest and windiest continent on earth. Its total land area is about 1.5 times the size of the United States including Alaska. 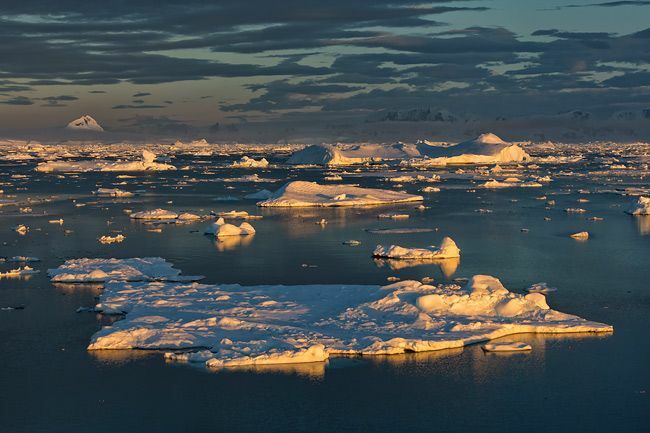 In the winter the land area of Antarctica increases about 2.5 times in size due to pack ice. 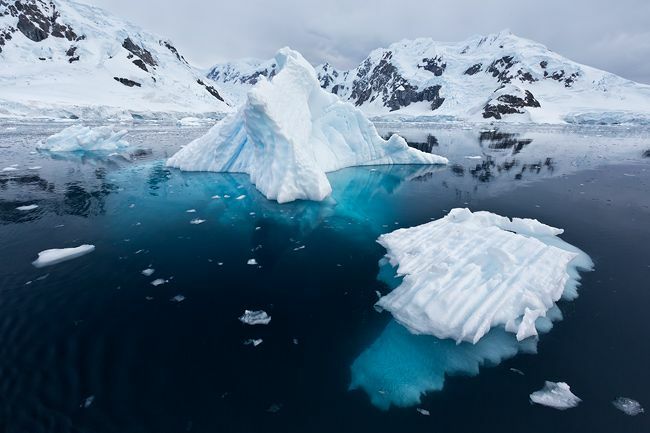 About 90 percent of the world’s ice and snow are located in Antarctica. 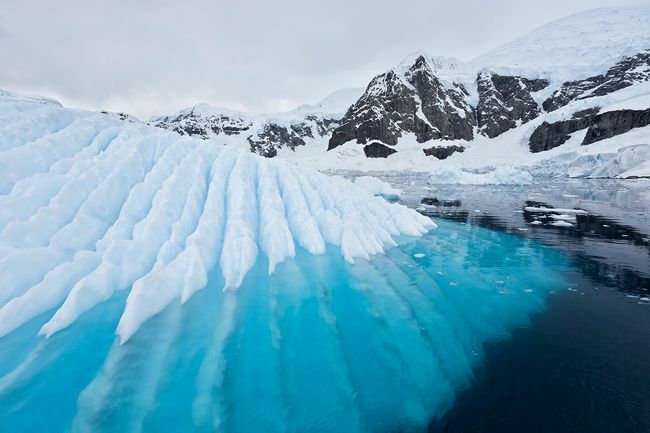 Antarctica’s surrounding Southern Ocean ecosystem is the largest and most fertile in the world, and is equivalent to 10 percent of the world’s oceans, and extends from the Antarctic continent to the Antarctic Convergence, the boundary where northward-moving, cold Antarctic water meets southward-flowing, warm sub-antarctic water from the Atlantic, Pacific, and Indian oceans. The Antarctic circumpolar current — the West Wind Drift — transports more water than any other system in the world’s oceans. The sheer richness of the eco-system is staggering. Antarctica has been the stage for over three hundred expeditions to the mainland of Antarctica since 1675, but it was during the early part of the twentieth century that the great explorations took place to reach the South Pole. The heroic feats of Shackleton, Amundsen, Scott, Byrd and Mawson are well documented and captured my attention and imagination with the white continent. Reading more about Antarctica, its history and eco-systems, makes you realize how important this continent actually is for the rest of the world as we know it, and how changes to this continent and its eco-systems will have a severe impact on our near future and the life’s of future generations. After a long flight and transfer between airports in Buenos Aires I arrived on New Year’s Eve in Ushuaia, the southern most city in the world. Ushuaia was the end destination of my previous trip to the South Georgia Islands and the Falklands, this time it was the start of a new adventure. Since everything was closed on New Year’s Eve, and hotels charged over US$ 200 for a meal, I finally ended up at the local Irish Pub for the last dinner of 2012. Quite surprising was the Caprese salad Irish style…. The next day we boarded the Dutch owned and operated expedition vessel Ortelius, a converted Russian survey vessel, which would be our home base for the next two weeks. After the mandatory life-boat drill we left the port of Ushuaia on the evening of January 1st and steamed through the Beagle Channel, towards the Drake Passage, which separates the South American continent from the Antarctic Peninsula. The Drake Passage can be a treacherous piece of water with gale force winds and high waves which has put fear in many seafarers over the years. Luck was on our side during our two day crossing to the continent. The Drake Passage looked like a mirror. One thing that struck me was the lack of seabirds behind the vessel during the crossing. While on our way to the South Georgia Islands we had plenty of seabirds following the ship and providing great photo opportunities. This time it was not even worth to hang around outside with a camera as there was just nothing flying around. Only when we reached closer to the South Shetland Islands an increase in bird life was noticeable. 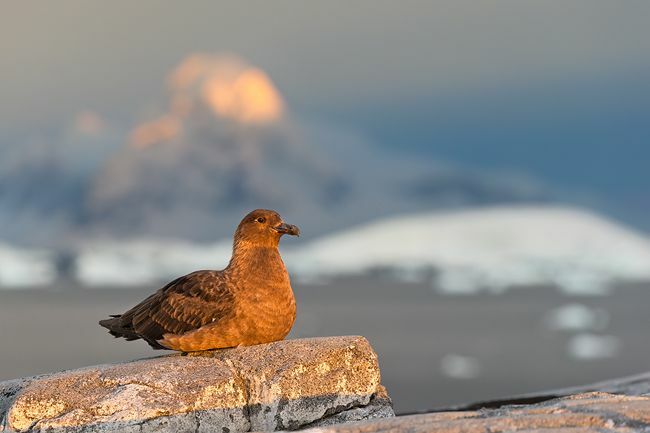 The main reason for the lack of bird life in the Drake Passage is the deep water and lack of food source due to the prevailing ocean currents that do not bring sufficient food to the surface. By the evening of the second day at sea we reached the South Shetland Islands and prepared for our first landing at Half Moon Island. After dinner the zodiacs were launched in 30 knots of wind and we made a pretty rough landing at the beach. The island was covered in snow and the hike to the Chinstrap Penguin colony was slippery and you ended up more than once knee deep in the snow. The colony was rather exposed to the elements (they usually are) and higher up on a hill, so photography and keeping your balance in 30 knots of wind proved challenging. I soon ventured off to more sheltered areas looking for different subjects. As the wind kept increasing the landing was called off early to get everybody back on board before the waves at the gangway would become too dangerous for safe off loading from the zodiacs. I ended up being the last to make my return to the beach. 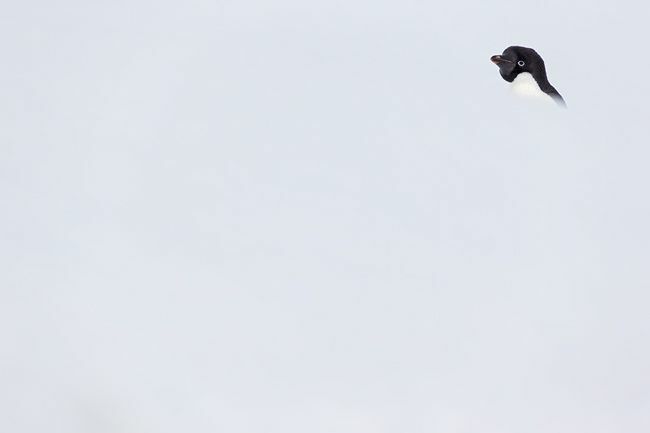 In the meantime it started snowing and I spotted Chinstrap Penguins coming over a snow ridge with the dark ocean as background. A lovely dramatic scene, which gave me the images I had hope for. With a happy feeling, I made it back in the last zodiac to the ship. After pulling up anchor the Ortelius crossed the Bransfield Straight towards the Peninsula and the destination for the next morning, Cierva Cove in Hughes Bay. Cierva Cove is a large bay filled with icebergs and brash ice and surrounded by glaciers and mountains covered with snow and ice. 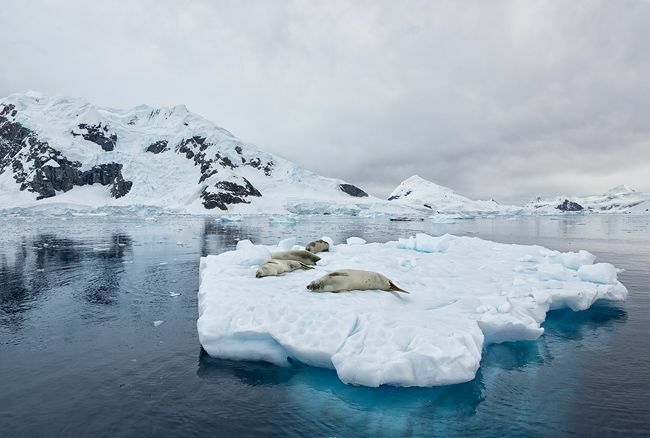 It is an ideal place to go zodiac cruising among the ice in search for wildlife. 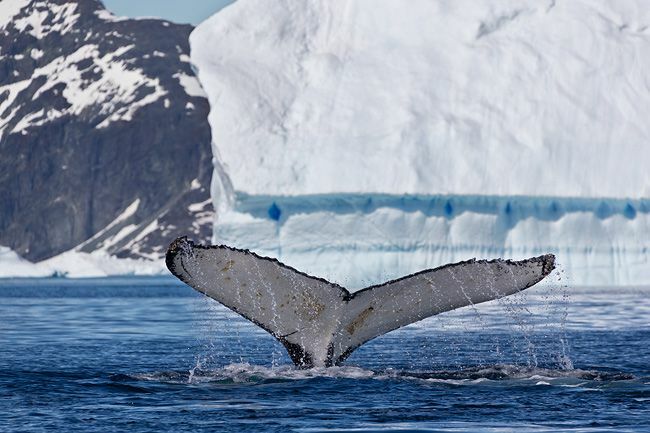 We spotted humpback whales feeding between the ice, leopard seals resting on ice sheets and penguins diving of icebergs. We could have easily spent the whole day cruising around as the variety of subjects in this setting was beautiful. After lunch we left the bay and sailed further south through the Gerlache Strait towards our evening landing at Danco Island. Looking at the map of the area you will find a lot of Belgium names, such as Gerlache Strait, Anver Island, Brabant Island and Flandres Bay, just to name a few. Baron Adrien Victor Joseph de Gerlache de Gomery (2 August 1866 – 4 December 1934) was an officer in the Belgian Royal Navy who led the Belgian Antarctic Expedition of 1897–99. In 1896, de Gerlache purchased the Norwegian-built whaling ship Patria, which, following an extensive refit, he renamed as the Belgica. The multinational crew included Roald Amundsen. De Gerlache set sail from Antwerp on 16 August 1897. During January 1898, the Belgica reached the coast of Graham Land. Sailing in between the Graham Land coast and a long string of islands to the west, de Gerlache named the passage Belgica Strait. Later, it was renamed Gerlache Strait in his honor. After charting and naming several islands during some 20 separate landings, they crossed the Antarctic Circle on 15 February 1898. On 28 February 1898, de Gerlache's expedition became trapped in the ice of the Bellinghausen Sea, near Peter Island. Despite efforts of the crew to free the ship, they quickly realized that they would be forced to spend the winter on Antarctica. Several weeks later, on 17 May, total darkness set in, which lasted until 23 July. What followed were another 7 months of hardship trying to free the ship and its crew from the clutches of the ice. Several men lost their sanity, including one Belgian sailor, Wiencke, who left the ship "announcing he was going back to Belgium". Wiencke Island is named after this Belgian sailor. Finally, on 15 February 1899, they managed to slowly start down a channel they had cleared during the weeks before. It took them nearly a month to cover 7 miles, and on 14 March they cleared the ice. The expedition returned to Antwerp on 5 November 1899. The landing on Danco Island took place in late evening light. Most people ventured up the main hill to get a good view of the surrounding mountains. 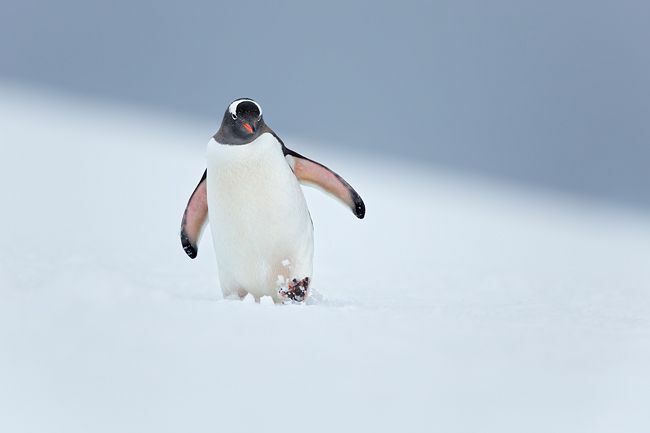 I decided to skip the climb and stay closer to the water edge, and walked several 100 feet through the deep snow in search of Gentoo Penguins crossing the terrain on the penguin highways to the colony higher up the hill. I always like the low perspective and could not resist laying down in the wet snow to photograph the penguins coming towards me. Although the light angle was not ideal and provided side lighting, the intensity of the late light was such that it actually provided a nice effect. 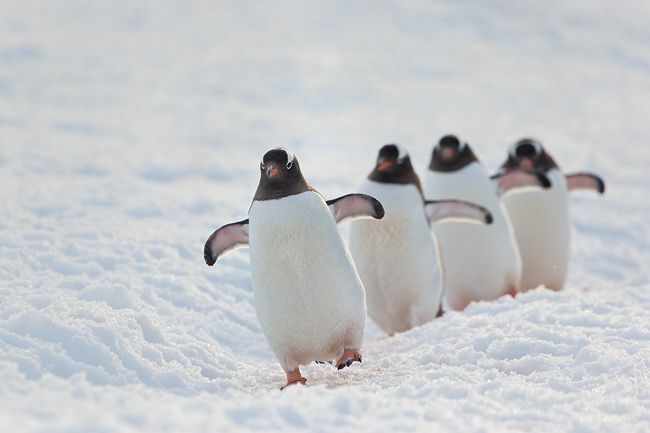 After concentrating on single penguins, it is always nice to get a few lined up. It is all about patterns. 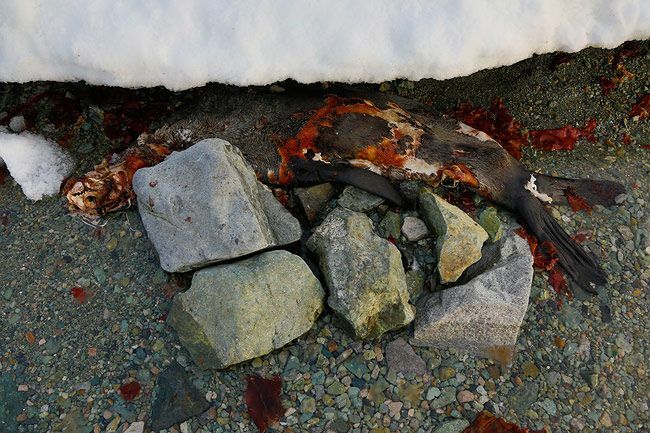 Since I did not want to get back through the knee deep snow again, I waded back to the landing site along the water edge, were I encountered the remains of a deceased seal. 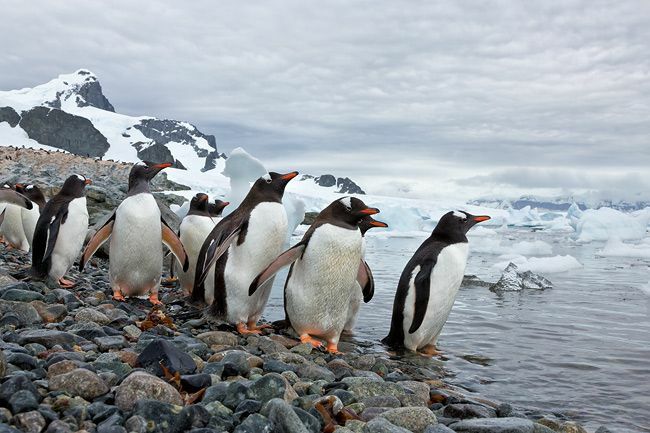 There are six species of penguins that are regularly found on the Antarctic continent. The Emperor Penguin is the largest, followed by the King Penguin. 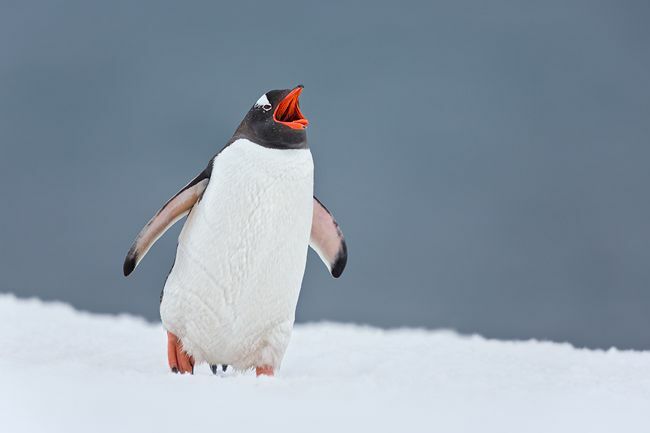 The tuft-headed Macaroni Penguin is another, but the most common penguins in Antarctica are the brush-tail penguins; Adelie, Chinstrap and Gentoo Penguins. They are called brush-tails because of their stiff, woodpecker-like tail feathers, which help to hold them erect. 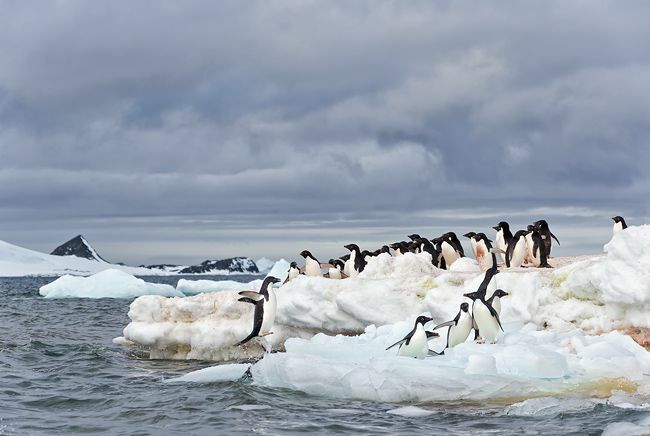 Penguins rest and breed on land (except for the Emperor Penguin who lives on ice). They move rather awkwardly and clumsily on land, but when they are in the water they are great swimmers. Penguins have the most densely arrangement of feathers of any bird, and the air trapped in their feathers and a layer of blubber provides for sufficient insulation to survive in cold climates. 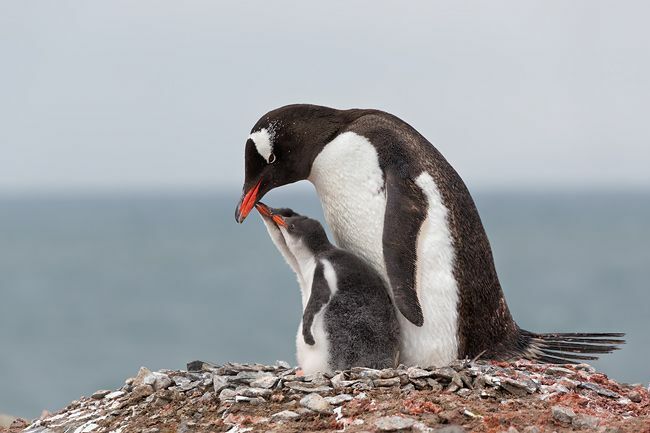 The brush-tail penguins have a brief breeding season of 2 to 3.5 months, which includes courting, copulation, laying and incubating eggs, and fledging the young. 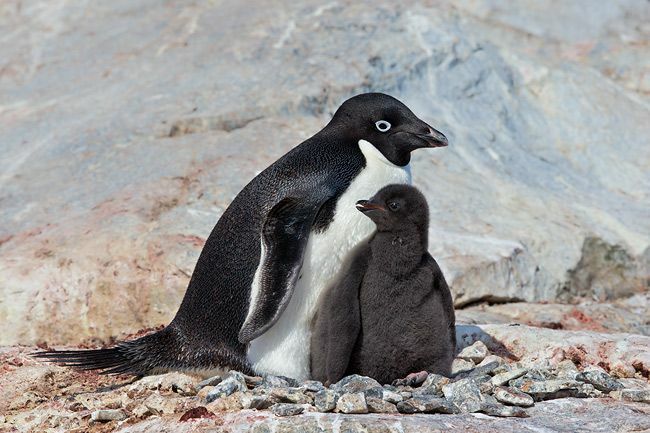 Adelie’s and Chinstraps form huge colonies with often many thousand breeding pairs. Gentoos are less numerous, and their colonies are much smaller. 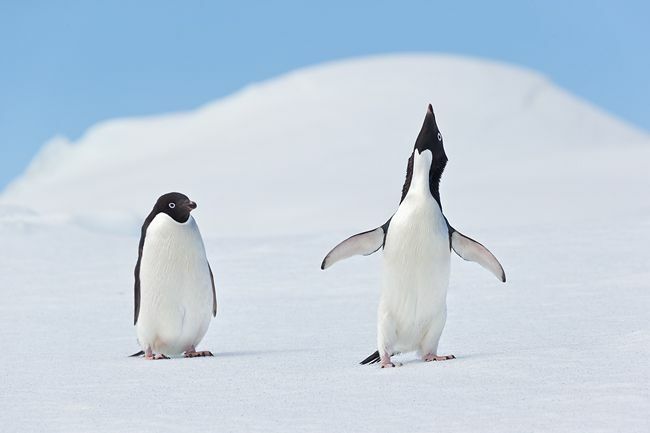 In recent years the Adelie’s have declined substantially in certain areas, whereas the Gentoos have increased in numbers. This change is potentially caused by a swift in food source due to climate change, which has an affect on the Antarctic Krill and squid. 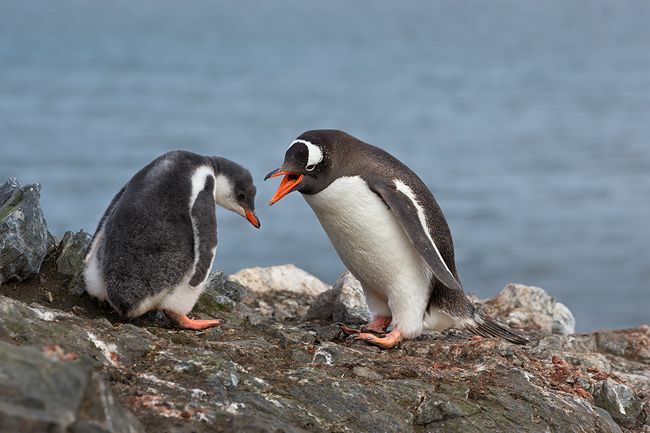 Gentoo penguins are more generalists and are able to adapt with more ease to these changes compared to Adelie penguins, hence their decline. A couple of scientists from the research organization Oceanites (www.oceanites.org), who run the Antarctic Site Survey program, joined the expedition in Ushuaia. 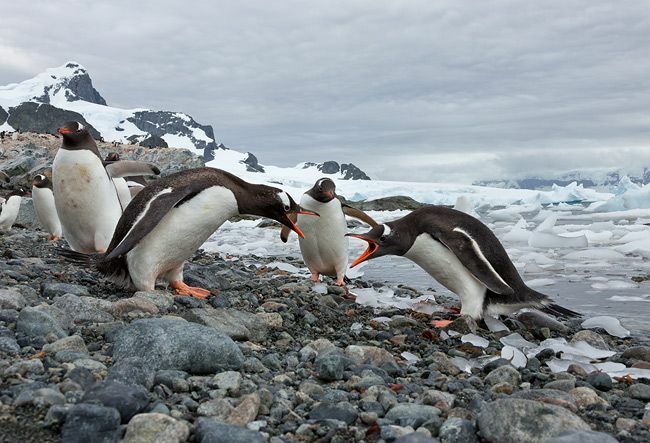 The Antarctic Site Survey keeps track of changes in penguin populations throughout the Antarctic Peninsula. Based on data collected over the years they are able to recognize trends and possible causes to changes. The next morning we had relocated to the nearby Island of Cuverville. 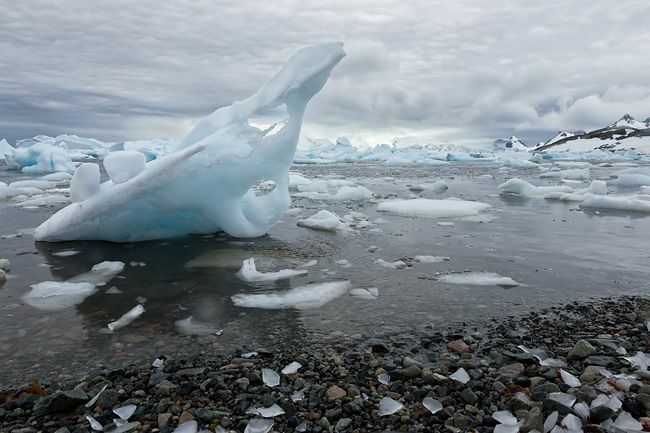 The landing area was full of little icebergs and brash ice, which made it difficult to find the right spot for the zodiacs to pull into. Gentoo penguins were most numerous at this location. 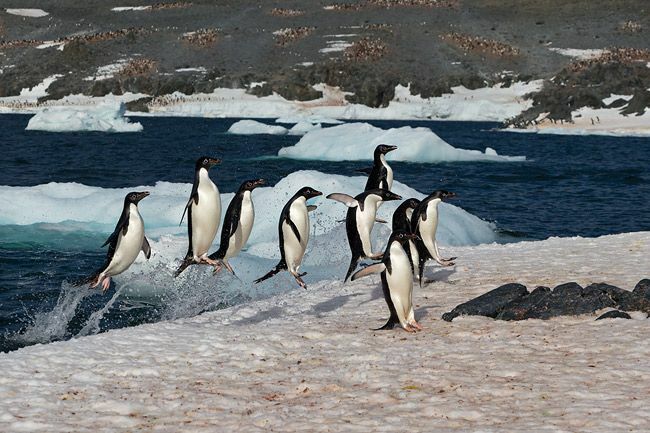 I did not go far from the landing area at all, as a lot of Gentoo penguins walked up and down the pebble beach in anticipation of a swim in the cold water. Inspired by Paul McKenzie I used an angle-finder on my camera to get a really low perspective with a wide-angle lens. While laying down at the water edge, it did not take long at all before I was surrounded by plenty of Gentoo penguins curiously looking at this 6.6 ft long creature. With the brash ice as background it was fun to photograph the penguins arguing and japing at each other, resulting in very intimate images. For the second part of the stay at Cuverville I went zodiac cruising with Rod Planck (the best zodiac driver on staff). Rod is a great photographer himself and fully understands what you are after in creating a specific image. He always managed to put the zodiac in the right position to enable you to get your anticipated image. 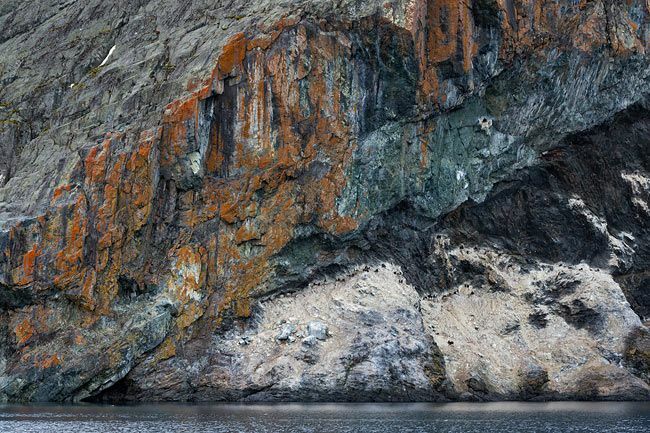 We pulled up against some rocks to photograph a group of nesting Antarctic Shags and Antarctic Terns. 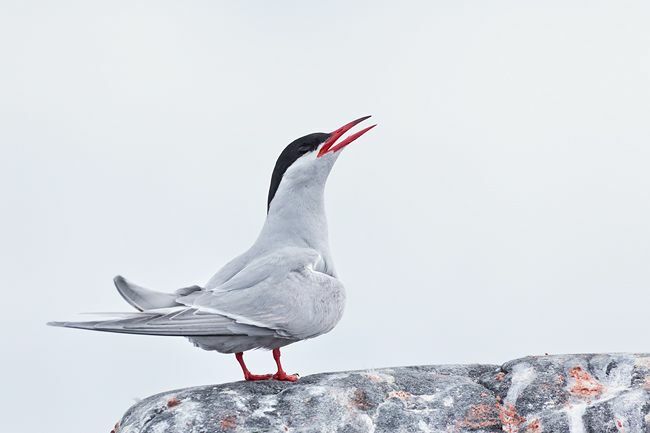 It was funny to watch a couple of Antarctic Terns dive-bomb a sole Gentoo penguin who apparently came too close to the nests of the terns. 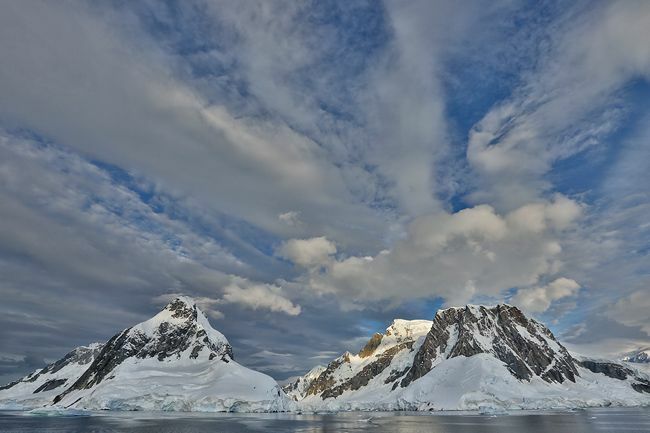 After midday we moved to the next location of Port Lockroy, a natural harbor on the north-west shore of Wiencke Island. The harbor was used for whaling between 1911 and 1931. 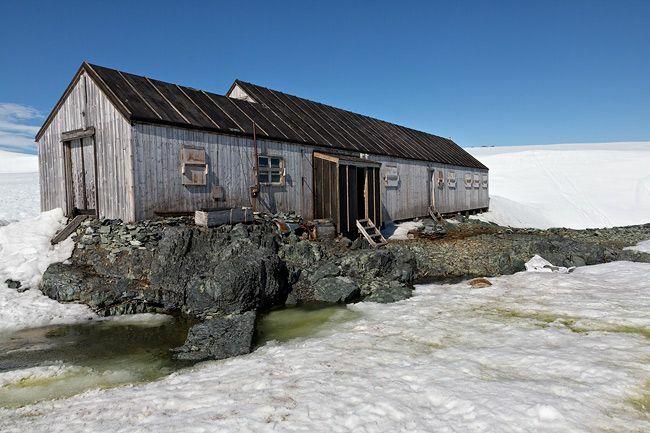 During World War II the British military operation Tabarin established the Port Lockroy base (Station A) on the tiny Goudier Island in the bay, which continued to operate as a British research station until 1962. In 1996 the Port Lockroy base was renovated and is now a museum and post office operated by the British Antarctic Heritage Trust. This is the only place in Antarctica where you can have your passport stamped with a penguin as a souvenir. From a photography point of view Port Lockroy is not that interesting. 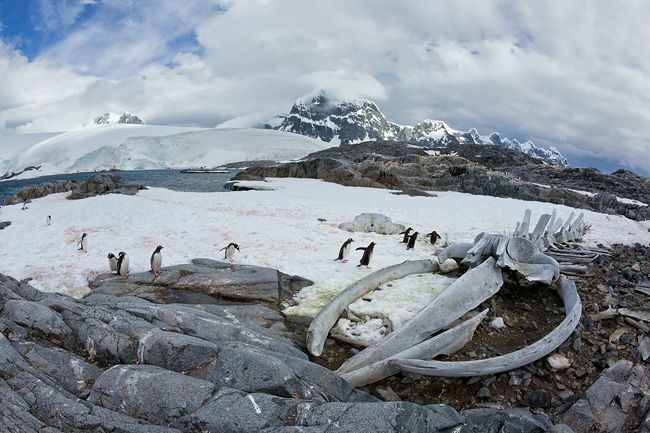 Opposite Goudier Island is Jougla Point, which has a colony of Gentoo penguins and a whale skeleton that has been preserved over the years. My main goal was to get an image of the whale skeleton in its environment and at the same time showing the scale with the help of Gentoo penguins walking by. To get everything in the scene I used the 15mm fisheye lens with just a little distortion of the horizon. We left at the end of the afternoon and were on our way to the famous Lemaire Channel. The Lemaire Channel is located between Kiev Peninsula in the mainland's Graham Land and Booth Island. Steep cliffs hem in the iceberg-filled passage, which is 11 km long and just 1,600 metres wide at its narrowest point. It was first seen by the German expedition of 1873-74, but not traversed until December 1898, when the Belgica of the de Gerlache expedition passed through. De Gerlache named it for Charles Lemaire (1863-1925), a Belgian explorer of the Congo. 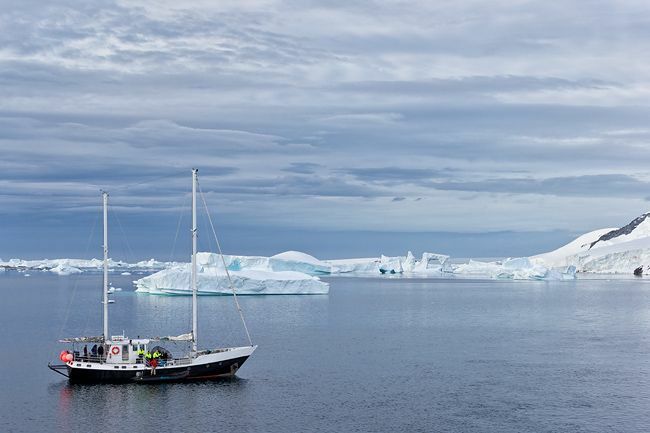 After we passed through the channel we met up with a small sailing vessel and dropped of Ron Naveen from the Oceanites research organization and two companions who would spend several weeks in Antarctica to continue their research for the Antarctic Site Survey. After the drop off we continued our path in southern direction through the Grandidier Channel and the Graham Coast on our way to cross the Antarctic Polar Circle at 66° 33′ 44″ south of the Equator. South of the Polar Circle there is almost 24 hours of daylight in the summer, and total darkness in the winter. During our voyage south the sun set at around 11:30pm and came up again around 2:30am. The long late light provided for some stunning colors in the sky and on the nearby icebergs and snow covered mountains. We passed the Polar Circle early in the morning on our way to Detaille Island at the entrance of Lallemand Fjord. Detaille Island is the site of Britain’s Base W, built in 1956 and hurriedly evacuated in 1959. The base was set up to conduct survey work on the local glaciers and geology, and to do meteorological studies. The team made use of dog-sledges to move around the ice filled area. In 1959 the sea ice was so heavy that the resupply ship Biscoe could not approach closer than 50 km, despite the assistance of two US icebreakers. The men at the base were forced to close up the base in a hurry and load the dog-sledges and make their way to the Biscoe over the sea ice to reach the ship. Today the Base W looks just like in the 1950’s, with all the artifacts still in place as the men left them in 1959. Detaille Island was also the first place south of the Antarctic Polar Circle where a game of tennis was played. After the 1956 Olympics in Melbourne, the Duke of Edinburgh visited several British Antarctic bases. One man in his party was a keen tennis player and brought racquets and balls. Because the balls did not bounce in the snow the game was changed to continuous volleying, and Prince Philip and several other joined in the fun. They also formed the first Antarctic Tennis Club, complete with their own club ties. We awoke to a clear day with blue skies and 40 knots of wind coming from the Lallemand Fjord. 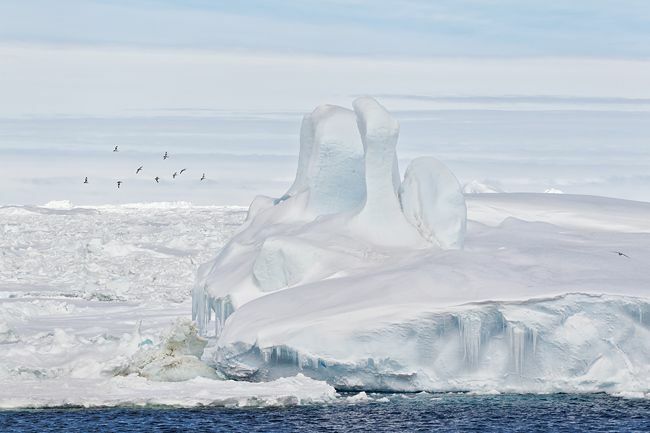 We started with a zodiac cruise from the ship and went around the island to an area with many grounded icebergs stacked together. 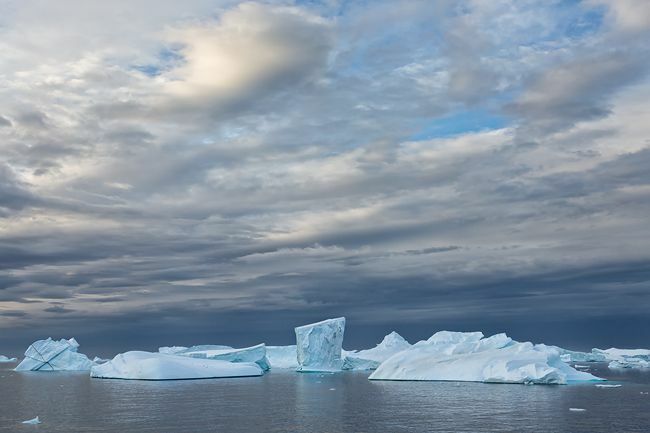 The blue skies reflected in the sheltered ocean water around the icebergs creating azure blue colors. 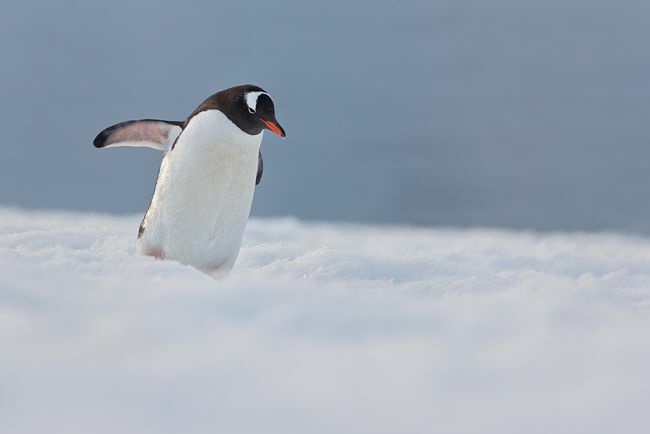 On a pristine white iceberg we discovered three Adelie penguins, which provided for some great photography. I was positioned in the front of the zodiac and had a clear 180 degree view on the Adelie penguins. My camera and lens combination (Canon 1Dx and Sigma 50-500mm f/4.5-6.3) proved very effective for this situation allowing me to go wide and tight and get the composition I wanted. After the cruise we landed on Detaille Island and visited Base W. I was an amazing sight to step back in time and get a real feel for how the people lived in the 1950s. Mattresses remain on bunks, and a pair of woolen long-johns hangs on a line over a small kerosene heater, awaiting an owner who will not return. Tins of canned food are stacked up in pantry cabinets, and old maps and survey reports are scattered over work desks. The library is full of old books and a home-made Scrabble board, and rusty tools are scattered over a bench in the workshop. The cold and dry climate has preserved the contents of Base W for future generations. We lifted anchor again for our voyage back in northerly direction. 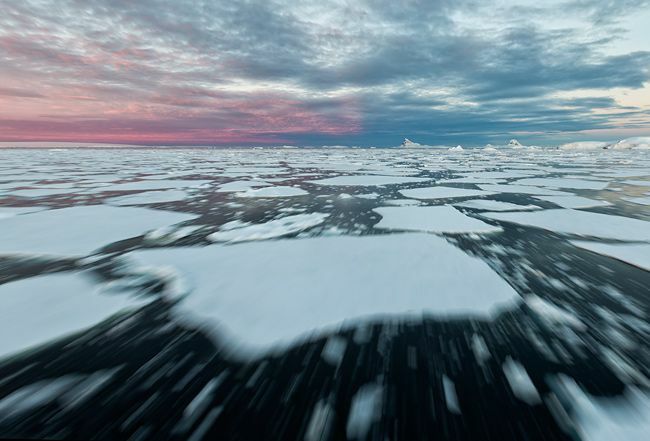 We encountered the same beautiful scenery and light as on the way south, as we made our way through the sea ice. It was an impressive sight to hang over the bow of the vessel and see the ice sheets get crunched into pieces. In order to capture the motion of the vessel going through the ice, I took blur-images with a wide-angle lens at slow shutter speeds. The trick here is to wait until you see a pleasing composition through the viewfinder with the ice sheets balancing the framing in the final image. As is always the case with blur-images, you have to take a lot to find one that really works. 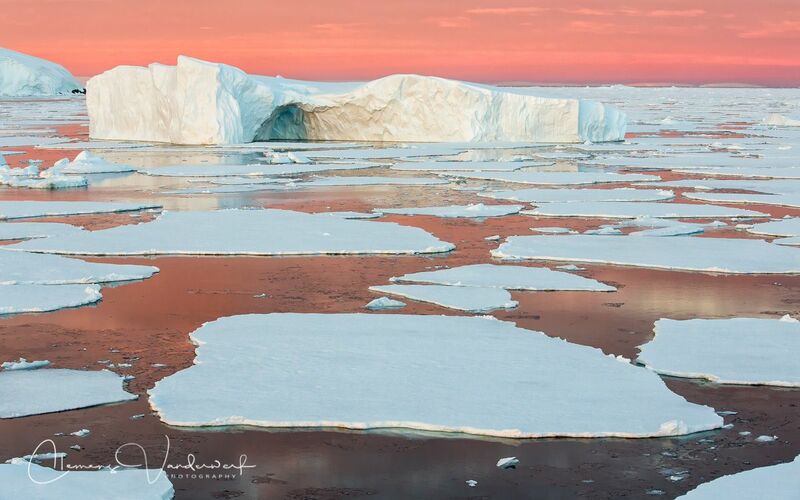 We had a spectacular sunset whereby the northerly sky turned completely pink and reflected the same color in the water between the bright white ice sheets and icebergs. If you looked in the other direction the sun was about to disappear behind the horizon and the sky turned into a deep orange color. The next morning we had arrived at our next location, Petermann Island, a short distance south of Booth Island and the Lemaire Channel. 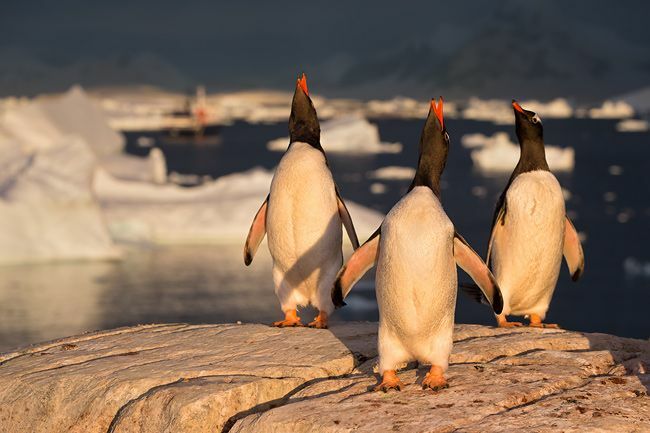 Petermann Island is home to a Gentoo and Adelie penguin colony. It was a sunny day again, which is not really my favorite when it comes to nature and wildlife photography. I much prefer a soft white overcast sky, which acts like a large soft-box and diffuses the light nicely on the subjects. Sunlight always casts shadows on the subjects where you really do not want them. Of course you have to deal with whatever hand of cards you get, and there is a way to deal with a bright sunny day. The most important thing is that you work down the angle of the sun, pointing your own shadow at the subject. This way the shadow is behind the subject and does not interfere in the image. Another trick is to work tight, and make use of flash to fill in the darker shadow areas on the subject. The image below is an example of a tight composition and making use of flashlight in sunny conditions. 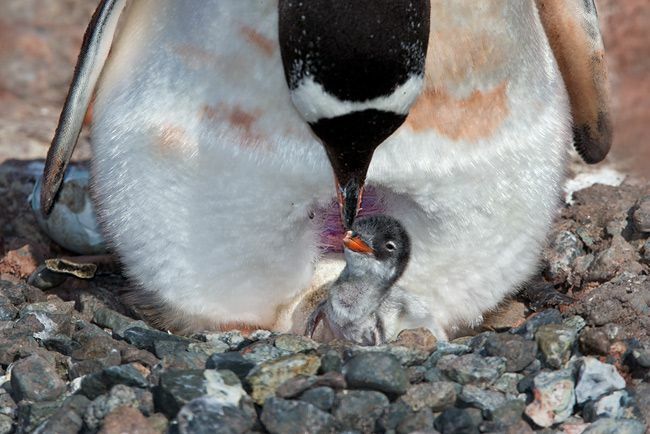 Gentoo penguin with one day old chick on nest, Petermann Island, Antarctica. Canon EOS 1Dx, Canon EF 300mm /f2.8 IS MkI with Canon TC 2.0x MkIII @ 600mm, f14, 1/250s, ISO 100, Manual exposure, Fill flash at -2. Towards the end of the morning I spent some time cruising in the zodiac and following a couple of Humpback Whales who were feeding close by. They stay on the surface for a while before they take a deep dive and swing their flukes up in the air. It is a pretty impressive sight to see those huge magnificent animals move through the water. By the time the light became less harsh I went back ashore and made my way up the Gentoo and Adelie penguin colony up the snowy hill. Since all the other people had already been there in the morning I was completely on my own. This time I had brought the long lens (500mm) and tripod as I wanted to get close up portraits of penguins with their chicks. It took quite some arranging and moving around to find a penguin on a nest with a clear background. 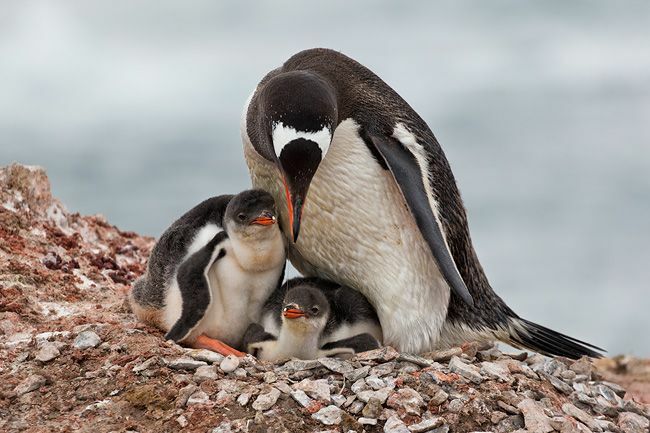 Since all penguins build their nests in close vicinity of each other, and many penguins move it and out of the colony all the time, you need to be patient to get the clear view that you are after, and at the same time hope that some interesting behavior will occur. Every now and then the adults will feed the chicks, and in between, the chicks are usually sleeping and tucked away under mommy’s belly. Many times interesting feeding behavior is happening while another penguin walks in and spoils your carefully crafted scene. Patience is everything if it comes to photographing wildlife behavior. From the Gentoo penguins I moved on to the Adelie penguins. Since they were a little higher on the rocks it was difficult the get an eye level spot and a clear background. I settled for a pair that was positioned against a relatively clear rock background, and positioned myself with my shadow pointing at the Adelie penguin and her chick. My philosophy is simple; I rather spend more time finding the right location and subjects against clean and clear backgrounds and take only a couple of images, instead of walking around and point my camera at any subject that comes by. The clock was ticking and a call for the last zodiac back to the ship was made. I packed my stuff quickly and hurried down the hill in order to get a soft reprimand from the staff that I was late again. Sometimes you have to push the limits if you want to take great images. After dinner on board we started moving towards the scenic Lemaire Channel again and continued through the channel to make a stop at Booth Island on the north side of the channel. We cruised with the zodiacs through a graveyard of grounded icebergs and made a landing around 10:00pm on Booth Island. I spotted a group of Gentoo penguins on clean rocks with a nice background of floating icebergs in the bay behind them and decided to concentrate on getting Gentoo penguins in late golden light with a scenic background. When the light started to get really low and the sun was finally setting at 11:30pm, we had to get back to the ship. On the way down to the zodiacs I spotted a Brown Skua resting on a rock and could not resist one last image. Back in my cabin I succumbed to my daily routine of downloading the images of the day, making a backup copy on a flash drive and edit my images down to 50 – 100 keepers for that day. If I really had the strength I would even process a couple of images, but not today. Our planned stop the next morning would be Neko Harbor at the end of Andvord Bay, but by the time we got close the captain informed us that the wind speeds in Neko Harbor were over 80 knots due to the katabatic (hurricane force) winds coming down from the nearby glaciers. Those high wind speeds would make operation of the zodiacs virtually impossible. It was decided to take a short detour into close by Paradise Harbor, which apparently had no katabatic winds and was actually completely flat when we entered the enclosed bay. 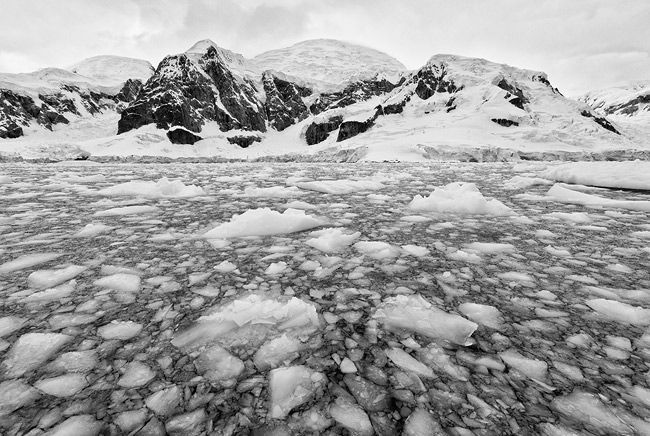 The katabatic winds are most commonly found blowing out from the large and elevated ice sheets, such as glaciers. The buildup of high density cold air over the ice sheets and the elevation of the ice sheets brings into play enormous gravitational energy. The winds are typically very local and can build up in a very short period of time. With its majestic icebergs and reflections in the water of the surrounding mountains, Paradise Harbor is undeniably beautiful. The whalers in the early 20th century also recognized its beauty and named the bay for it. 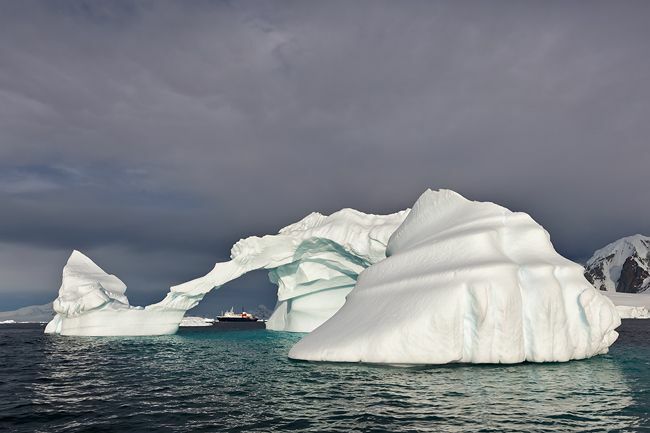 It is a great place for zodiac cruising around the ice calved from the glaciers and through the brash ice. 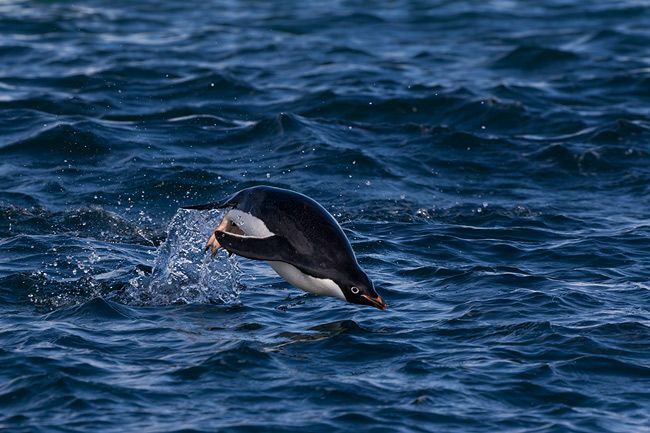 Plenty of wildlife can be seen on or between the ice such as whales, seals, penguins and birds. 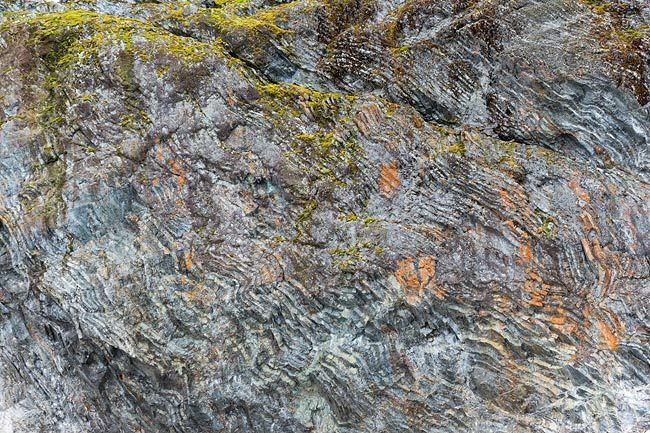 There is a gorgeous cliff, which is colored blue-green by copper deposits, emerald green by moss and orange or yellow by lichen. 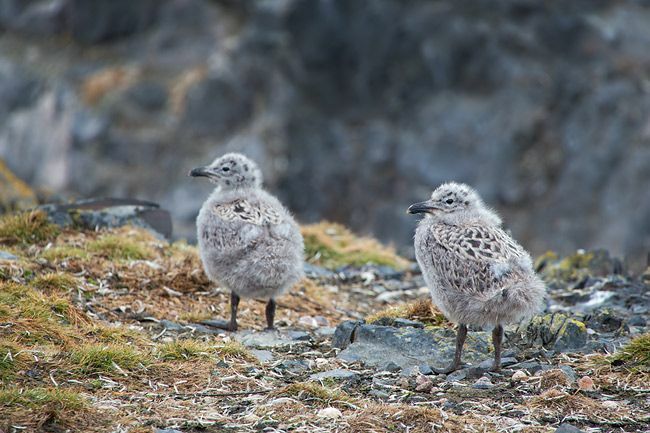 The cliff is also home to nesting Blue-eyed Shags and Cape Petrels. I spend pretty much the whole day cruising in the zodiac, for the most part with my favorite driver, Rod Planck. 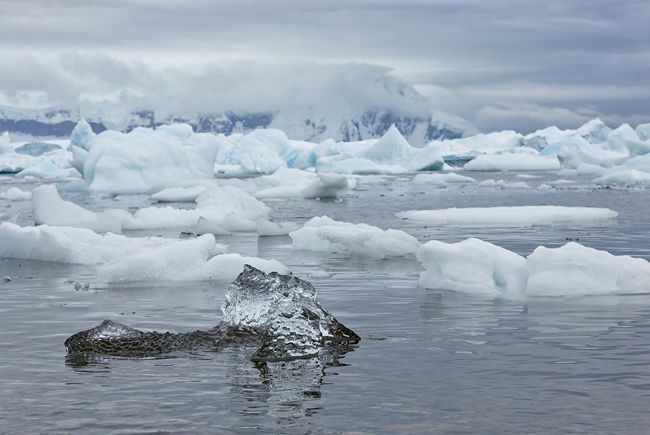 It is a real impressive feeling to slowly move through the brash ice and push the ice away with the bow of the zodiac. 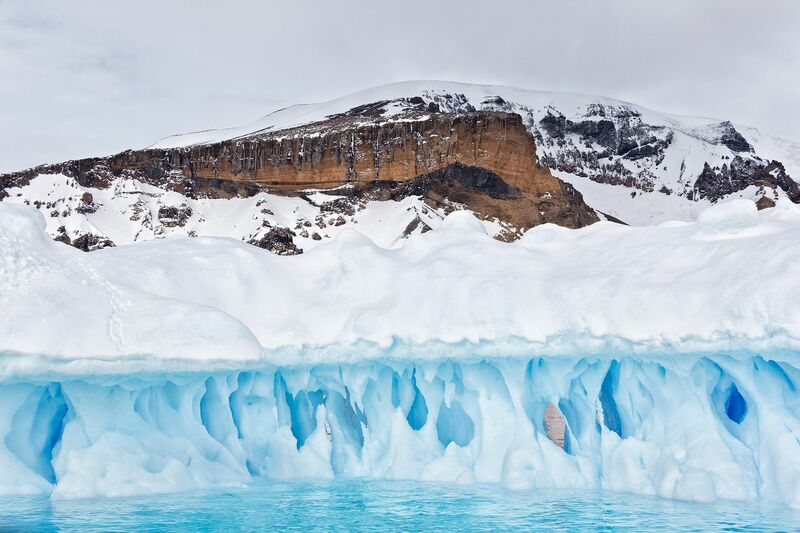 The water is very clear and deep blue in color, and provides a great contrast with the white ice floating on top. This scenery screams for black and white images and very graphic compositions. 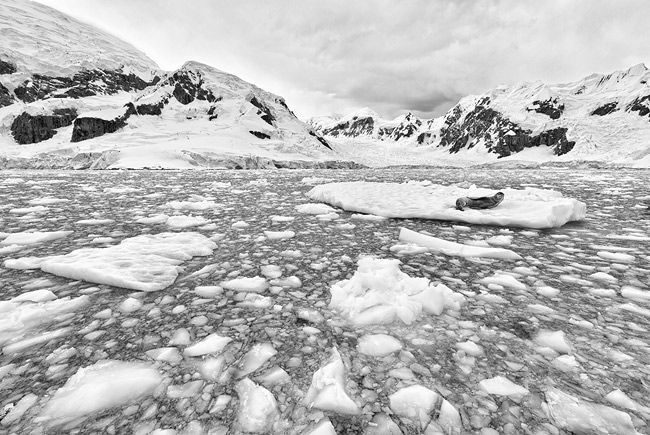 To capture the floating ice in its environment of mountains and glaciers, I used the wide-angle lens. While hanging over the bow of the zodiac, I kept the camera close to the water to get a lot of foreground in the image and put the mountains higher up in the frame. This way the emphasis is really on the brash ice and gives you a tremendous sense of scale. We came across a couple of sleeping Crabeater Seals on an iceberg and the first reaction is to go for close-up images, but they are not at all that interesting when sleeping, so I went wide and composed an image with the seals in their natural environment which is way more powerful than a sleeping seal. 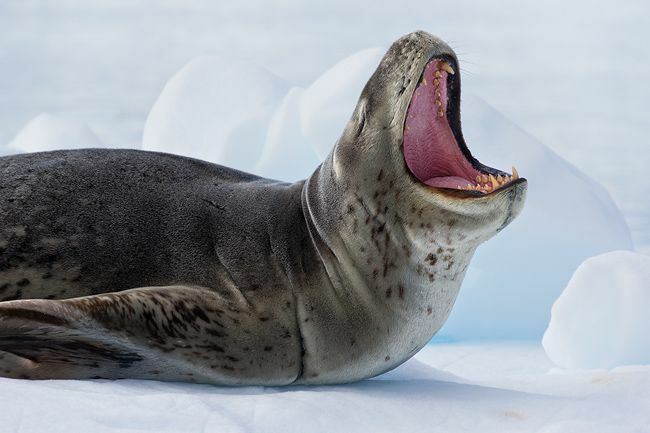 Further into the ice we spotted a Leopard seal resting on an ice sheet. Usually, they are not very active, so the image here was again a wider shot showing the environment. If you are sitting on the gunnel in the zodiac, your shooting angle is very flat with the result that you do not get any separation between the foreground and background. In this case I wanted to show water and ice in front and behind the ice sheet with the Leopard seal. The only way to accomplish this was to stand on the box in the front of the zodiac. My 6.6 ft height allowed me now to create the composition I was looking for. You need to have a good understanding with the zodiac driver while you stand up, as you do not want to run the risk of going over board in freezing water. 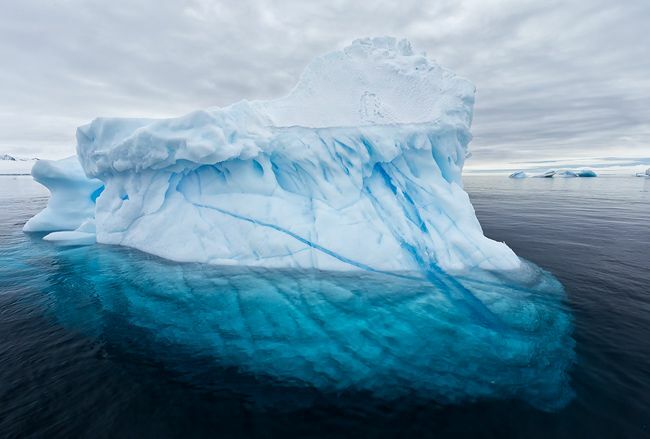 The same technique proved very valuable to show that most of an iceberg is actually underwater. 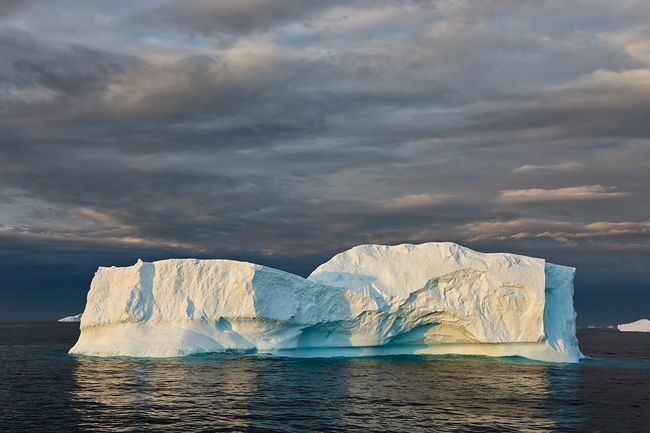 I had brought a polarizer filter for the wide-angle lens, which allows you to see right through the water and expose the 80% of the iceberg that is underwater. Again you need a higher point of view to get the best possible view, but the images are quite impressive. We left Paradise Harbor at the end of the afternoon and headed north for our next destination, Deception Island, which is located on the north side of the Brandsfield Straight between the South Shetlands Islands and the Antarctic Peninsula. Deception Island is easily recognized on any map by its broken-ring shape collapsed volcanic cone, and provides one of the safest natural harbors in the world, called Whalers Bay. Deception Island has a rich sealing and whaling history and its volcano is classified as “a restless caldera with significant volcanic risk”. In the late 1960s and early 70s eruptions forced the evacuation of the Argentine, British and Chilean research stations. 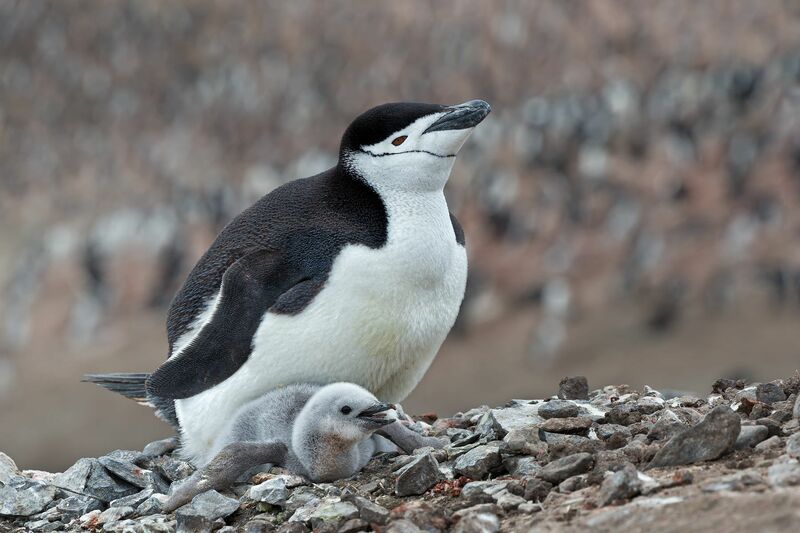 Chinstrap Penguins are Deception’s most common penguins with several rookeries exceeding 50,000 pairs each. The colony at Bailey Head, a natural amphi-theater with a melt stream running through it, is the largest on the island and starts at the black-sand beach next to the high peak of Rancho Point. 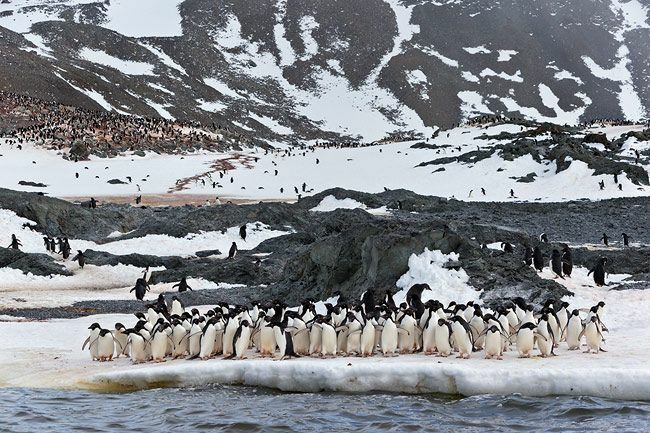 Masses of Chinstrap penguins waddle in large groups between the beach and the colony higher up on the hills. 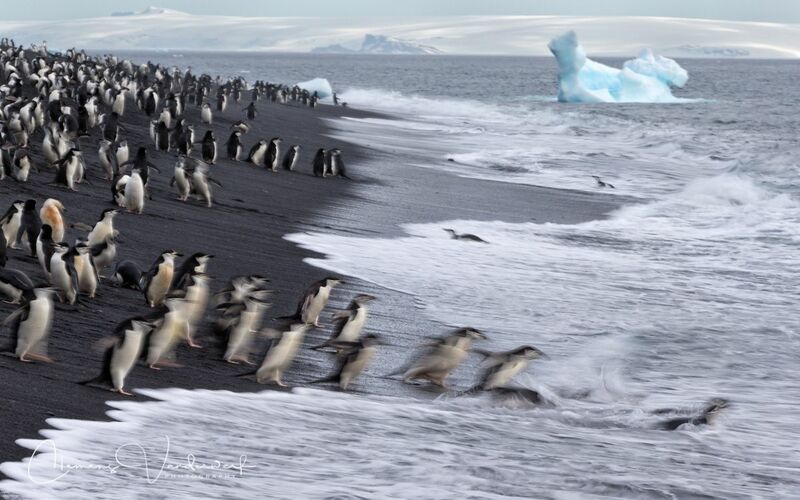 Hundreds of Chinstraps penguins are lined up on the black-sand beach and nervous groups are constantly taking dives in the surf on their way to find food for their offspring, and at the same time trying to dodge the odd Leopard seal patrolling in the shallow water. It is fascinating to watch the coming and going of Chinstraps that seems to continue for 24 hours in the day. By the time we reached Bailey Head the weather had calmed down substantially, as in the week that we went south, the weather had been horrendous up in the Brandsfield Strait. Nobody had been able to land at Bailey Head, due to the high winds and surf on the steep beach. The weather gods were on our side again, and in calm seas landing with the zodiacs was fairly easy. I spend the first hour next to the zodiacs at the beach trying to capture the motion and energy of the Chinstrap penguins entering the water. I started with fast shutter speeds to freeze the action, but felt that it did not convey the excitement of the moment. Using slow shutter speeds (1/20s – 1/6s) creates the sense of motion, but it is critical to only get the blur effect where it matters. The next important thing is the composition. Which becomes stronger with a clean lower frame edge, and an anchor point in the right upper corner of the frame (the blue iceberg) to balance the dark beach on the left side. See below image as an example. 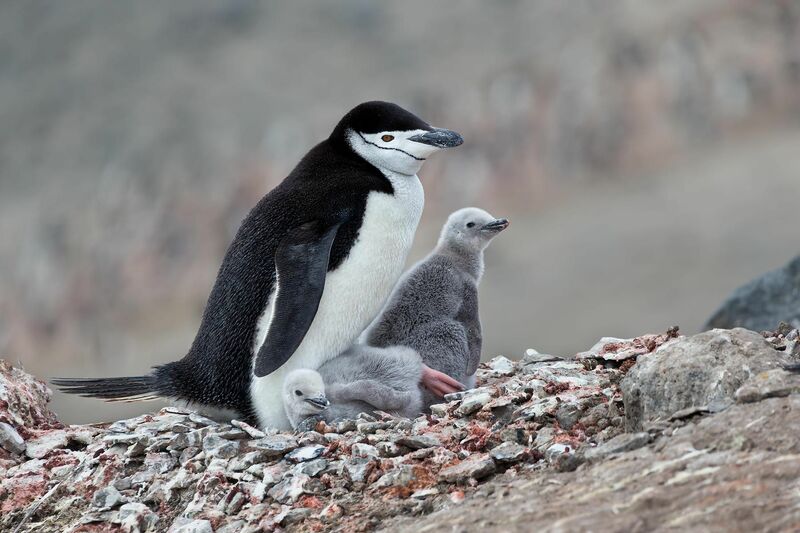 After many blur images (probably 500 of which I kept 20 that were decent), I walked up the hill towards the colony to find Chinstrap penguins with chicks. 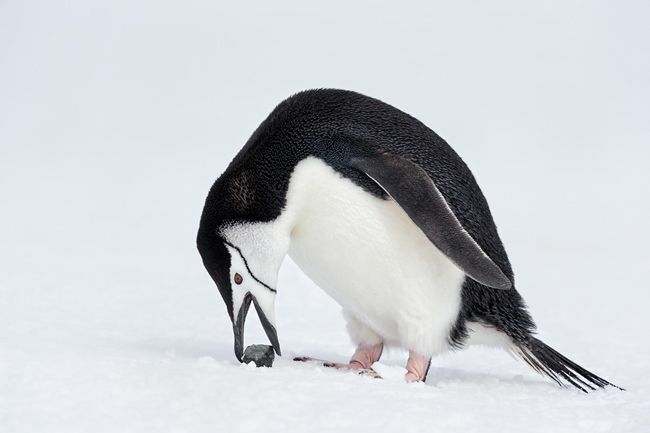 Penguin colonies are typically dirty, smelly and messy. To get some nice images of penguins in a colony is not an easy task, at least, if you care about clean backgrounds and clean frame edges. If that does not matter to you, you can pretty much take a picture anywhere you like, but one thing is for sure, it will never be a contest-winner. I am extremely precise when it comes to an uncluttered image. Arthur Morris drilled this into me from the first day that I met him. It took me about an hour to find a spot higher up in the colony that allowed for a distant background. Typically, you need to find a nest at the boundary of the colony to get some free space around the subject, which allows for clear frame edges. Once you find the spot it is just a matter of patience and wait for the right action to occur. I spent the next hour and a half sitting and laying down at the same spot with penguins around me, but I am quite pleased with the results I got. What amazed me most was that none of my fellow shipmates with a camera ever layed down in the penguin guano to get a better shooting angle. Every one of them was walking around and shooting down towards the ground. I cannot even imaging how cluttered these pictures must be. It was funny that evening over dinner, when one of the shipmates handed me a flash drive with two images he took of me laying down in the dirt. It must have been a very special sight. 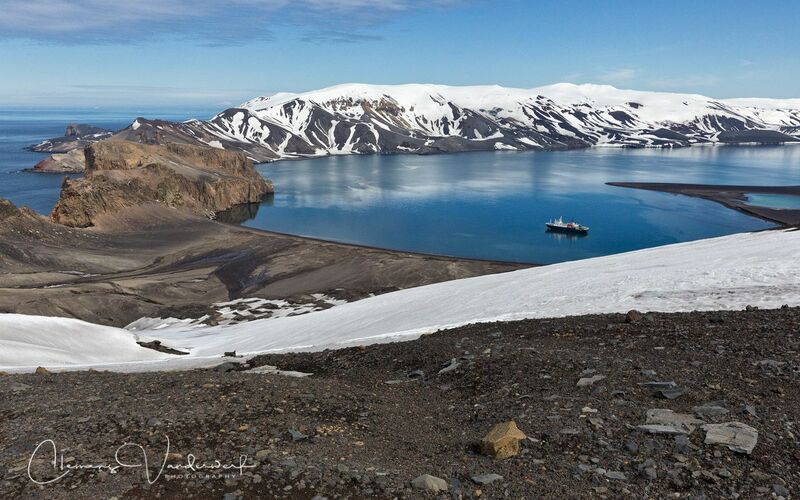 During midday the ship relocated from Bailey Head, on the south side of Deception Island, to the secluded Whalers Bay inside the ring-shaped cone of the island. We had the option to join the ship or hike to the other side of the volcanic rim. The hike was about 3 miles long and transversed through the volcanic sediments and knee deep snow over the rim of the volcano down into Whalers Bay. A seemingly easy hike, but not if you carry camera equipment and extra lenses in a photo vest and did not shed enough layers before you started the hike. Exhausted and soaking wet, I arrived at the beach in Whalers Bay and took a zodiac back to the ship. After a refreshing shower I was done for the day, and did not bother to go back ashore again. 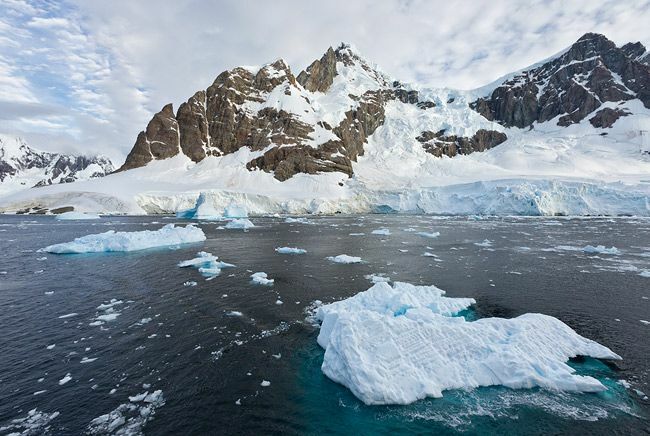 Our next stop was going to be on the Weddell Sea side of the Antarctic Peninsula. We cruised through the Bransfield Strait towards Brown Bluff, and spotted a lot of whale species, although none of them came close enough to take images. 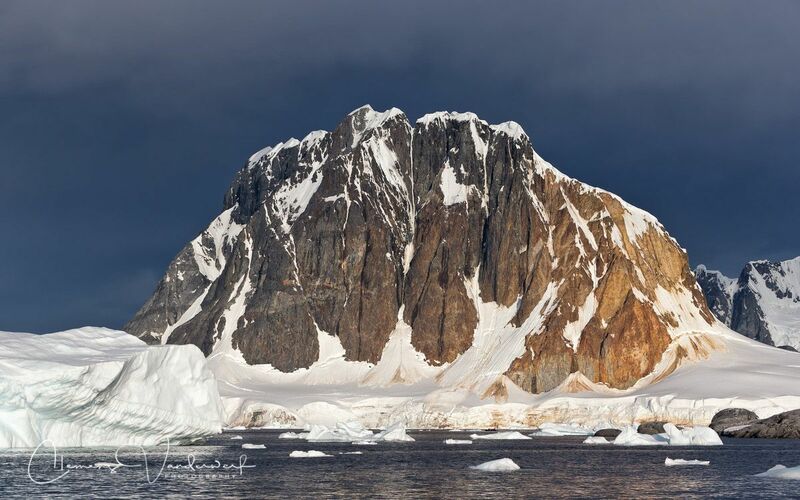 The next morning we arrived at Brown Bluff, an ice-capped, flat-topped 745m extinct volcano. The original diameter of the volcano has been calculated at 12 to 15 km, and is approximately one million years old. The bluff takes its name from a striking cliff of reddish-brown rock on its north face. 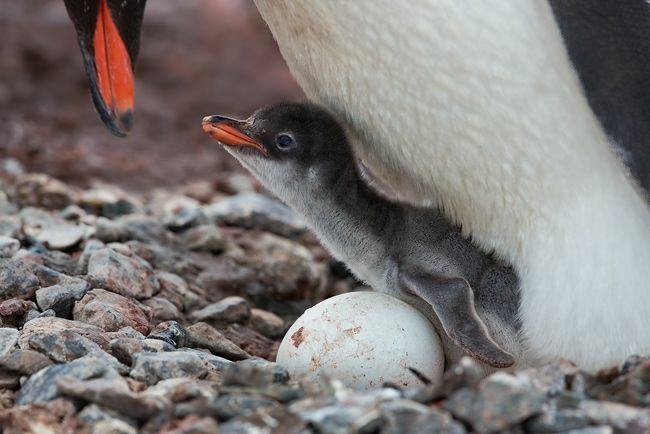 Several hundred Gentoo penguins and an estimated 20,000 Adelie penguins nest at Brown Bluff. After I had taken a couple of head shots of Adelie and Gentoo penguins with my long lens ashore, I went zodiac cruising between the icebergs, in the hope to get some more images of penguins on ice. 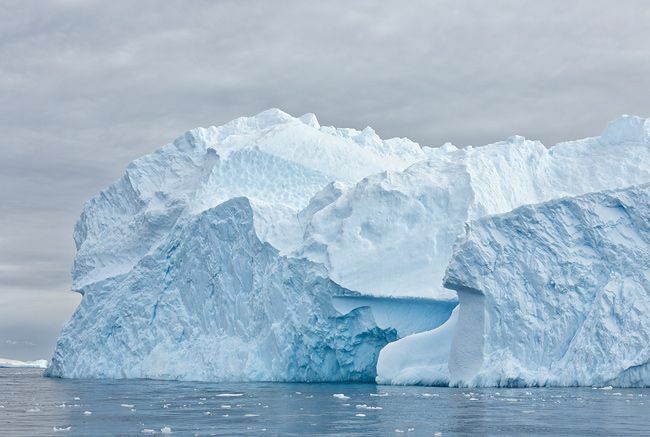 We came across some really spectacularly shaped icebergs that had a very organic feel to it. 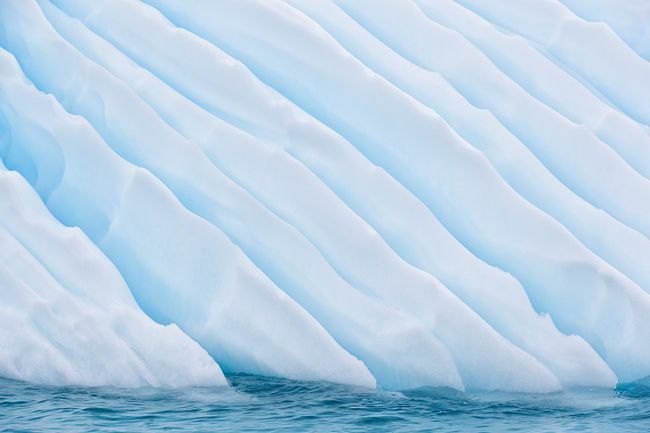 It keeps amazing me how these icebergs get shaped by the elements and how their appearance changes over time. We witnessed Adelie penguins jumping of icebergs, and I was able to create some out of the box images by changing my position and shooting angle on board the zodiac. 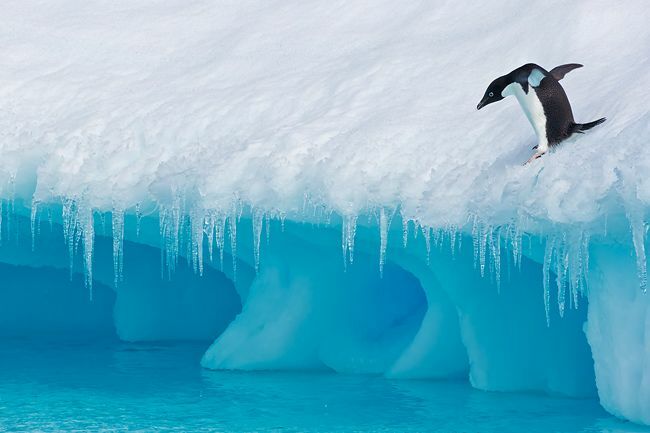 I particularly like the image of the Adelie penguin partly covered behind a snow ridge on an iceberg. In the early afternoon we left for our next two destinations of Devil’s Island and Paulet Island, but we never made it there. Due to the bad weather and gale force winds in the area prior to our arrival the sea ice had shifted and moved in to form a dense pack of ice that was too thick for any icebreaker. Devil’s Island and Paulet Island were out of reach and we had to turn back when we reached the edge of the sea ice. It was quickly decided to make an alternative stop at Hope Bay. Hope Bay is home to one of Antarctica’s largest Adelie penguin rookeries with an estimated 125,000 pairs. The entrance to Hope Bay is reached via the Antarctic Sound. Argentina built Esperanza Station here in 1951. Esperanza was significantly expanded in 1978 and women and children began to reside year-round as part of Argentina’s efforts to establish “sovereignty” over the Antarctic territory. Today as many as 20 children live with their families at the station, which has a school, bank, church and post office. An ice runway on a nearby glacier provides regular service with DHC-6 Twin Otters. It is probably also the only place in the Antarctic Peninsula with cell phone reception. Unfortunately, a landing ashore was denied by the station, so we spend a couple of hours cruising around in the zodiac along the shoreline. 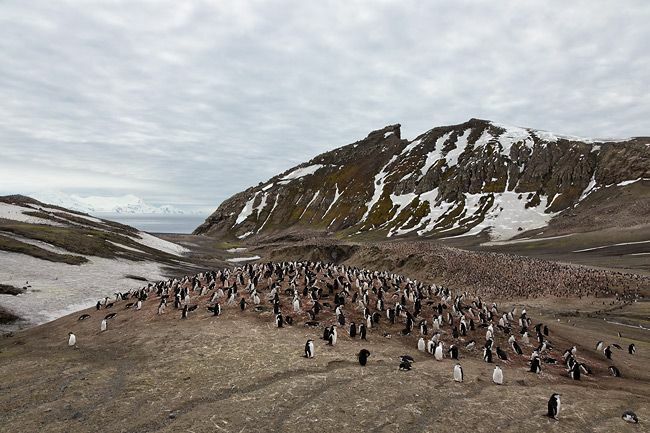 The view of all the nesting Adelie penguins on the nearby hills is truly spectacular. 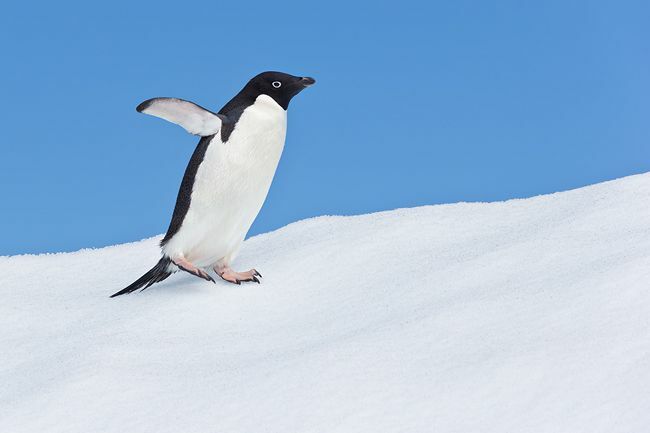 With hundreds of Adelie penguins waddling up and down the snowy shoreline there was plenty of penguin antics going on. We pushed the bow of the zodiac up against the ice where the penguins came shooting out of the water to capture them in different acrobatic positions. The problem is that you do not really see them coming, so it is difficult to focus on them when they jump out of the water, as you are always too late. The trick is to pre-focus on the spot where they come out of the water, and use your other eye (the one that is not looking through the viewfinder, my left eye) to scan the surface of the water for incoming penguins. This makes it is easier to anticipate when you have to press the shutter button (note: this only works if you use rear-button focus). We were quite surprised when we ended up with five confused penguins in the zodiac who had miscalculated their landing spot. One by one they hopped out of the zodiac back into the water. We stayed overnight at Hope Bay and had a great BBQ on deck and went to bed quite pleased with the amazing experience of the day. The next morning we set sail towards the South Shetland Islands. Our destination was Penguin Island, which lies close off the south coast of the much larger King George Island, and marks the eastern side of the entrance to King George Bay. It has a shoreline of low cliffs, with a beach on the north coast providing access. The most prominent feature on Penguin Island is Deacon Peak, a basaltic cone with a 350m wide well-preserved summit crater that forms the 180m high summit on the SW side of the island. When we landed there were a couple of option; walk up to the crater for great view of the area, or stroll along the pebbled beach in search for Elephant Seals and Gentoo penguins. 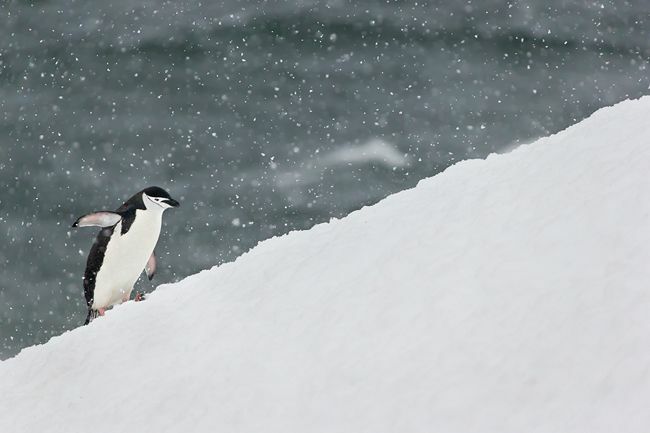 I decided to stay close to the landing site where a couple of Chinstrap penguins were hanging out in the snow. Since we were not allowed to get close, as often times areas are marked of by the staff as not accessible, the use of a long focal length makes the most sense. 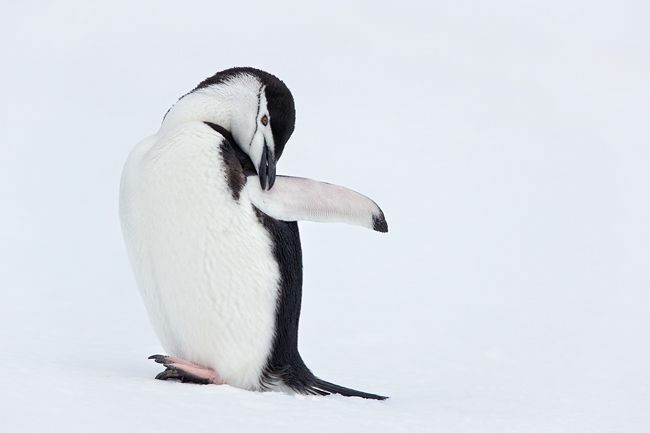 I had brought my 500mm lens ashore and used it with the 2.0x tele-converter (effective focal length 1000mm) to get close up images of preening Chinstrap penguins. After the morning at Penguin Island we relocated to the western side of the South Shetland Islands were we made an evening landing at Yankee Harbor on the SW side of Greenwich Island. 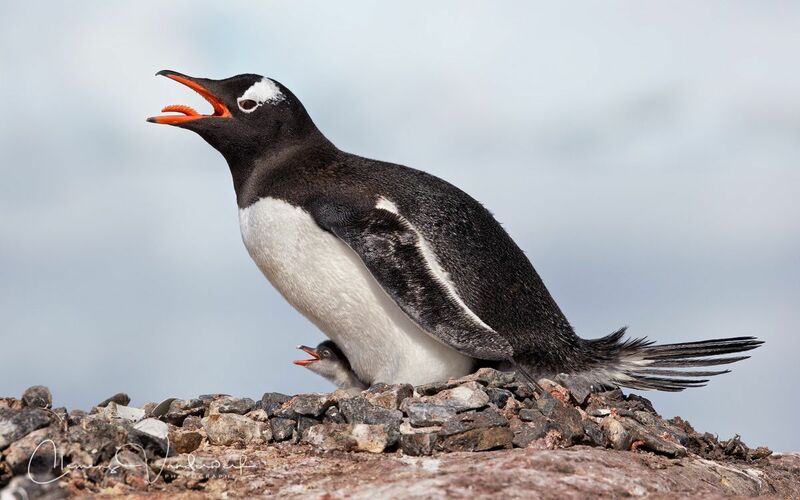 Yankee Harbor has primarily Gentoo penguins, although a few Chinstrap penguins also nest in the area. Recent fresh snow had fallen due to the bad weather up in the area, which gave a nice white canvas along the beach area. 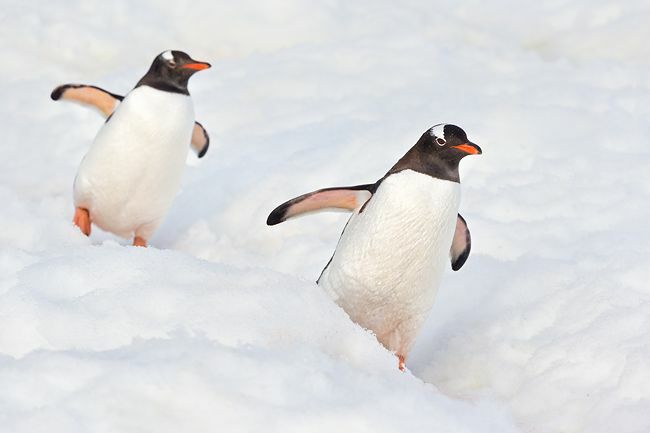 Many Gentoo penguins were waddling along the beach line in the snow after their swim in the ocean, and crossed the snow field on there way to the colony higher up on a hill where they had their nesting site. 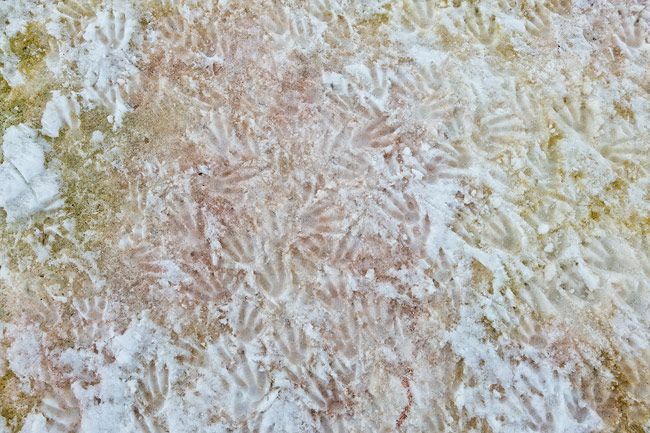 While walking over to the shore line I came across fresh penguin feet imprints in the snow, and stops for a moment to take some images of these patterns. Walking down further I noticed the dark blue ocean providing a nice contrast with the white snow, and took my long lens off the tripod and immediately layed down in the snow. With the 500mm lens and 1.4x tele-converter, I had an effective focal length of 700mm, and the low perspective gave me a blurred foreground of white snow and a clean dark blue background of ocean water. Because of the low perspective the distance to the ocean is further than if you would stand up, hence the nice monotone colors. Now it was waiting for the penguins to pass through the frame and get them with their feet throwing up snow while they waddle along. I had a blast and spend about an hour on my belly in the snow. My next project was to find some nice uncluttered penguins nests up on the hill, but as always is the case, they are hard to find in the world of nesting penguins. I did manage to get some real close-up images of one-day old chicks being fed by their parents. By the time I was done with my roaming, the last zodiac was again eagerly waiting to take me back to the ship. Our landing the next morning was at Hannah Point, in the middle of Livingston Island in the South Shetland Islands. The point marks the eastern end of Walker Bay and the western point of South Bay. Waves and weather from the Drake Passage and Bransfield Strait often curl around the point, making the beach a ‘no go’ zone. We had the good weather gods with us again, and the landing on the small rocky beach was relatively easy. Once on shore, the roaming activities are extremely controlled in order to protect the masses of wildlife. 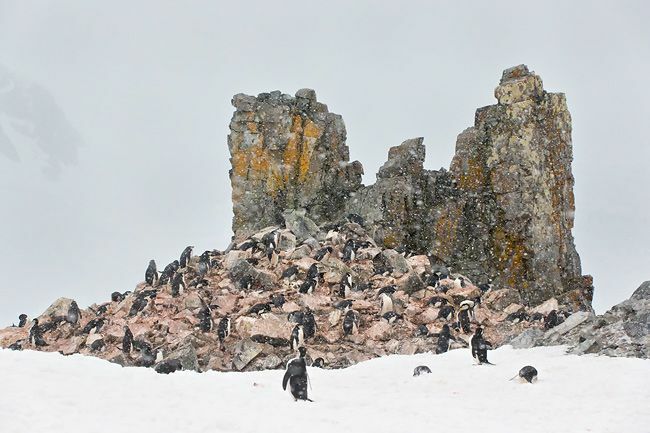 Over 1,500 breeding pairs of Gentoo penguins and 1,000 pairs of Chinstrap penguins make the rocks of Hannah Point home. Some years one, two or even three pairs of Macaroni penguins nest in with the Chinstraps, but this is getting less consistent in recent years. There is a large Southern giant petrel colony along the ridges above the penguins (these birds are very sensitive to disturbance in breeding season) and the usual scattering of Kelp gulls and Snowy sheathbills. 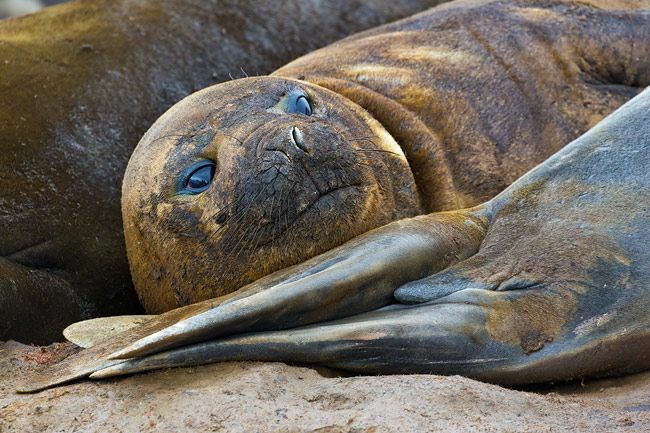 Hannah Point has one of the consistently occupied Southern elephant seal wallows in the South Shetlands. 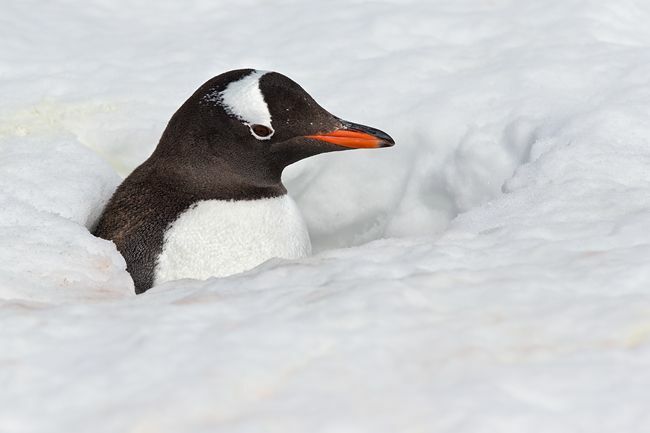 Normally, 10-20 individuals, or more, can be found lounging in their own wastes just past the Gentoo penguins, and more will haul out along the beach towards Walker Beach, further into Walker Bay. The staff had marked the lines that we were not supposed to cross with flags. The area near the Gentoo and Chinstrap penguin nests up the ridge close to the Elephant seals was muddy and filled with guano. The only way the get the sky as background behind the nests was to sit down in the mud as closed to the flags as possible. This was my time to get really dirty and smelly, but it paid off with some nice images. As expected my fellow shipmates were standing around me trying to figure out what was wrong with me. I ventured to the other side off the ridge near Walker Beach, where another colony was located, and came across a couple of Kelp gull chicks walking around between the rocks. 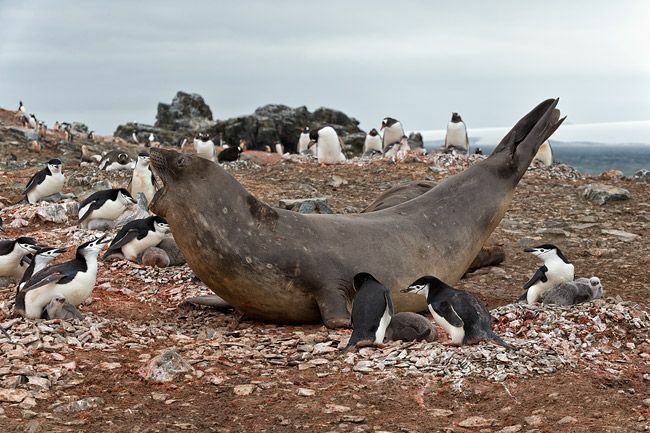 On the way back to the landing site, I walked one more time up the ridge and witnessed two female Elephant seals marching through the nesting Chinstrap penguins. They do not seem to have too much respect for each other, but luckily nobody got hurt. As usual I made it just in time for the last zodiac back to the ship. We had one more landing left that afternoon before we would head back to South America. Our last destination was Aitcho Island, which stands for ‘H.O.’ and was named after the Hydrographic Office of the UK Admiralty in 1935. Gentoo and Chinstrap penguins crowded the ridge above the landing site. Our movements were pretty restricted to protect the wildlife sensitive areas. It was a bright sunny afternoon. There were a couple of nice snowy penguin highways going up the hill, which I wanted to photograph, but with the light coming from the wrong direction this was pretty much a waste of time. I walked over the ridge to the pebble beach on the other side were I photographed a couple of Chinstrap penguins coming out of the water. 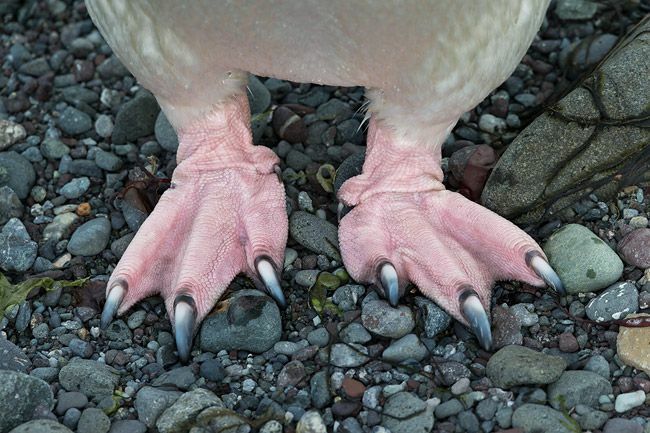 The only decent image of the afternoon was the feet of a Chinstrap penguin standing on the pebbles. I had to stand in front of him to cover his feet with my own shadow in order to soften the bright sunlight. That was it for me: Too bright, too windy, wrong light angle, time to head back to the ship. Much to the surprise of the zodiac staff, I was first in line to take the first zodiac back to the Ortelius. They knew that the photographic opportunities were not working for me. Later that afternoon we pulled anchor and set course for the Drake Passage. It was not as flat as on our first crossing but comfortable enough to keep working on my images. I usually did my processing up in the bar. One day a female shipmate came up to me and said that she had been looking at me processing my images, and was surprised how long I spend on one image (somewhere between 15 – 30 minutes depending on the image). She said: “By the time you are done with all your images of this trip, you must be 500 years old”. Surprised I looked up and said: “I have already processed 100 images, and by the time my plane lands in Miami, I will probably have processed 150, and be done with it”. I thought to myself, by the time this lady comes home and has to start going through her 25,000 images, she will be 500 years old when she is done with this trip. Of course, it is a matter of preference, but if you keep a strict routine of editing your images daily, you will have it a lot easier and will be able to keep up with your processing during or after the trip. After two days at sea we safely arrived back at the dock in Ushuaia, and made our way to the airport for our flights home. It was a fantastic voyage to an amazing Antarctica. One point of concern is expressed by Ron Naveen from Oceanites: “Looking into the crystal ball, however, one sees grim portents. The world’s population is approaching 6.6 billion people and will reach 12 billion before the middle of this century. We humans may have exceeded — artificially — our own carrying capacity on this planet and, if the trend is not reversed, even Antarctica will be consumed by our never-ending, sometimes wrong-headed search for food and fuel. That said, our most pressing concern is global warming. The scientific evidence points clearly in one direction and we face the very daunting task of getting everyone to think seriously about generations, geologic time and changed lifestyles, rather than focusing on the immediate pleasures of our present, flickering moments of life. Steps we take now could dictate our own survival. Humankind, let alone ecosystems, cannot easily regulate morality or environmental purity. But perhaps we can be inspired to higher ground. 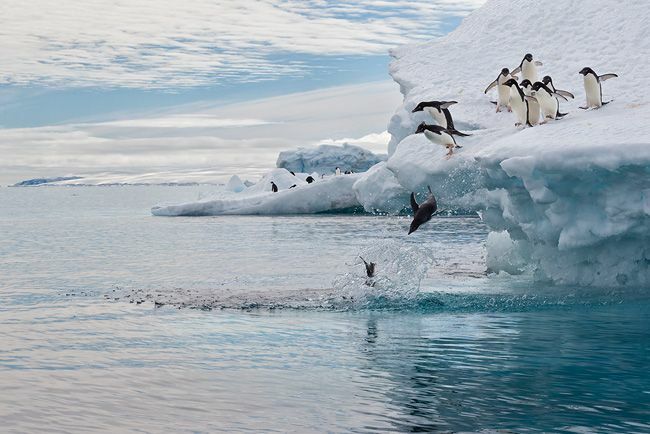 If not, we as a species are doomed, as are our fellow creatures on this planet — the penguins, whales, krill, and seals — and beloved Antarctica itself. I’m struck by the “gray matter” that these monumental issues present. They pose no clear, black-and-white solutions, nor will any of our difficult choices be cheap. But they must be made”.